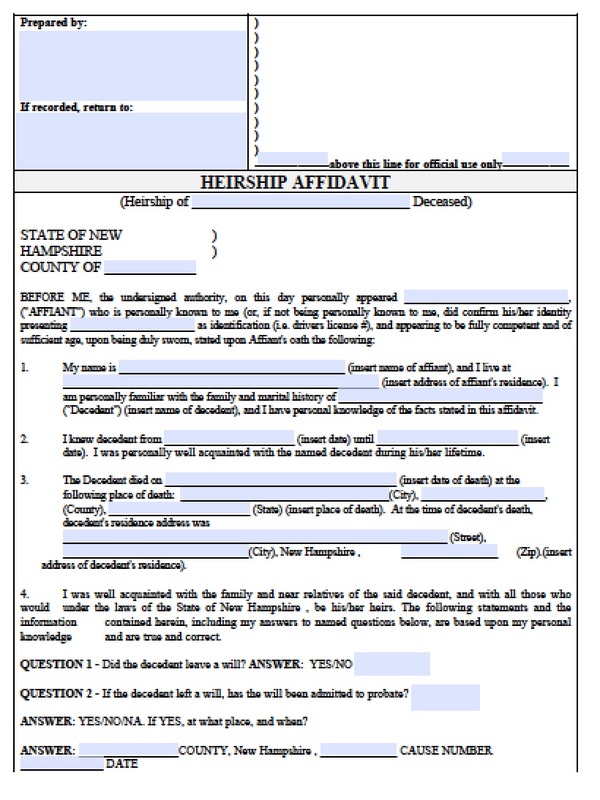 In New Hampshire, joint tenancy laws allow any property owned jointly to pass directly to the other owner in the event of one owner’s death. 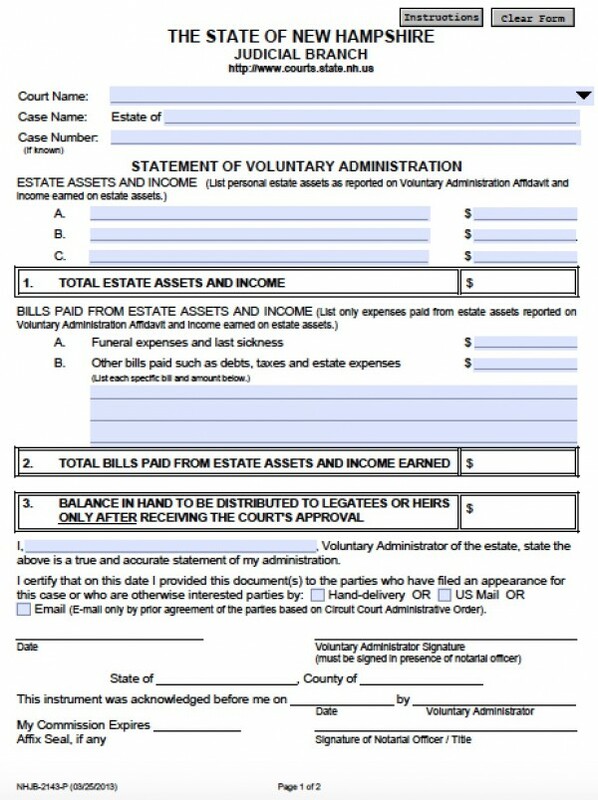 However, if there is not another real estate owner, and the decedent passed away without a last will and testament, successors such as spouses, relatives, or others may file the small estate affidavit to avoid real estate valued below a certain dollar amount to pass to probate court. That way, a grieving family may disperse and/or sell the property as they see fit, without the expense of an attorney or the time-consuming pain of going to court. This small estate affidavit ruling is per New Hampshire statute NHJB-2141-P.